Check out this gently-used 2008 Cadillac CTS we recently got in. How to protect your purchase? CARFAX BuyBack Guarantee got you covered. The CTS RWD w/1SB has been lightly driven and there is little to no wear and tear on this vehicle. The care taken on this gently used vehicle is reflective of the 101,651mi put on this Cadillac. 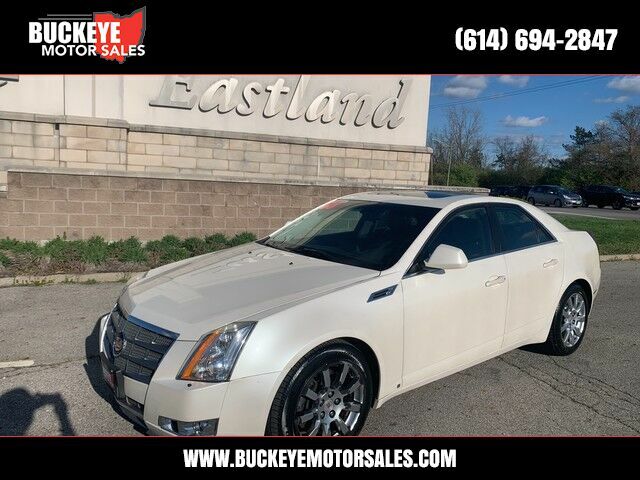 Added comfort with contemporary style is the leather interior to heighten the quality and craftsmanship for the Cadillac CTS This 2008 CTS RWD w/1SB has extra options like the Cadillac navigation system. The additional feature will keep you safe and will make this Cadillac CTS even more dependable. You demand the best in everything, so why would your automobile be any different? Enjoy the best features available in this stunning Cadillac CTS. Cadillac's CTS stands out from the sport-sedan competition for 2008 on the basis of its very attractive handcrafted interior and its available high-tech features, which include adaptive headlamps and advanced audio and navigation options. With the direct-injection engine, it's also one of the most efficient-yet-quick vehicles in its class. MEMORY PACKAGE RECALLS 2 DRIVER "PRESETS"